Edgewood’s investment strategy is to provide capital in special situations where we can earn an appropriate risk adjusted return by thoroughly underwriting the value of the asset, the quality of the sponsors, and the risks inherent in the deal. If Edgewood has a strong conviction that we can protect capital while earning our targeted returns, then we will move forward with the transaction. Edgewood provides senior and mezzanine debt for special situations, including quick closings, recapitalizations of distressed situations and supplying capital to execute value add strategies. 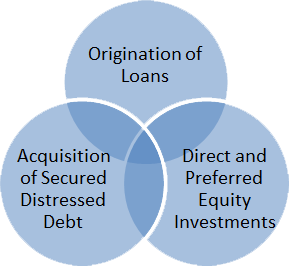 Edgewood will both acquire and finance the acquisition of distressed debt. Edgewood will invest alongside real estate entrepreneurs as preferred or GP equity. Edgewood will also invest directly into projects.